Good quality plumbing installations can last for a number of years without any trouble. However the plumbing fixtures and fittings on your property tend to see a significant amount of wear and tear over time. This makes it extremely important to carry out regular plumbing maintenance on the systems. We at King and Sons Plumbing Melbourne provide excellent plumbing maintenance services to residential and commercial customers in Melbourne and its suburbs. What’s Covered In Preventive Plumbing Maintenance? This refers to the detailed maintenance of all plumbing systems, appliances as well as the fixtures, in order to minimize the chances of a plumbing emergency call-out. It’s important that your regular plumbing maintenance is performed on an annual basis, depending on the intricacy and age of your plumbing system. For instance, if you live on an older property with older pipes and drains, or you have an older hot water system, maintenance checks will be required more often. 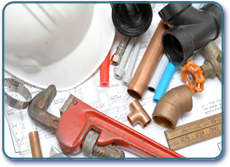 Our expert residential plumbers Melbourne can conduct a detailed inspection of all the plumbing installations on your property, to assess their condition. They will provide you a clearer idea about the residential preventive plumbing schedule you need to maintain. These services help save you the time, trouble and costs involved in getting deteriorated or damage plumbing installations fixed. Commercial plumbing systems can be quite complex and spread out depending on the type of building or structure. Our team of licensed commercial plumbers Melbourne can carry out inspections covering all the plumbing and water infrastructure on your property and will provide a detailed report. If any potential problems are uncovered during the inspection, you will be intimated about them; a quote would be provided for the work and the repairs or replacement would be carried out quickly and efficiently.